GOOD NEWS! 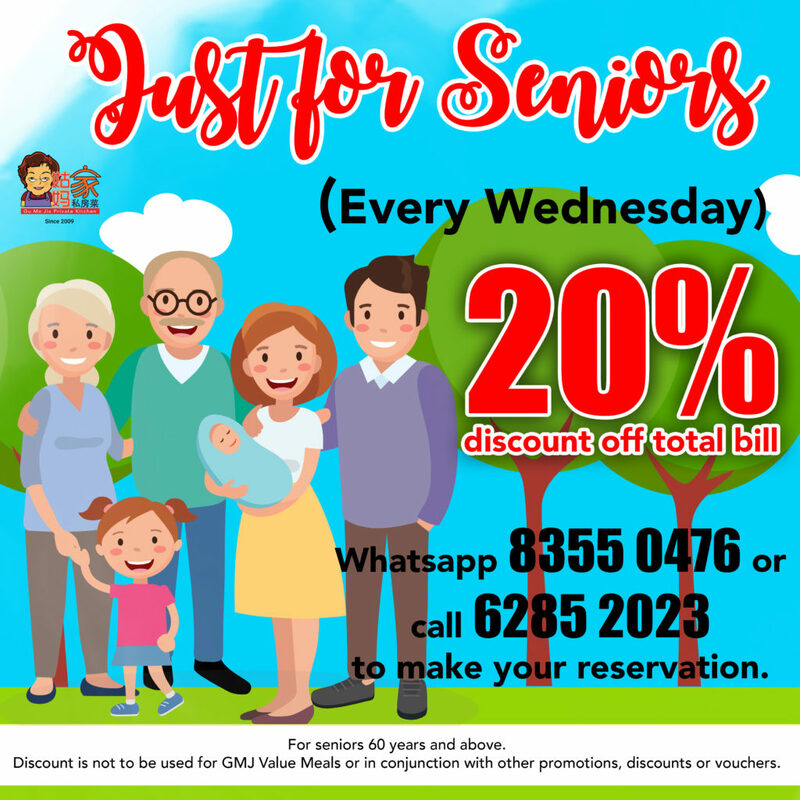 [20% Discount – FOR SENIORS ONLY – Every Wednesday, for DINE-IN only] All seniors aged 60 years and above will get a special 20% discount on every Wednesday. Enjoy our home-cooked goodness with less oil, less sugar, less salt and no MSG added. 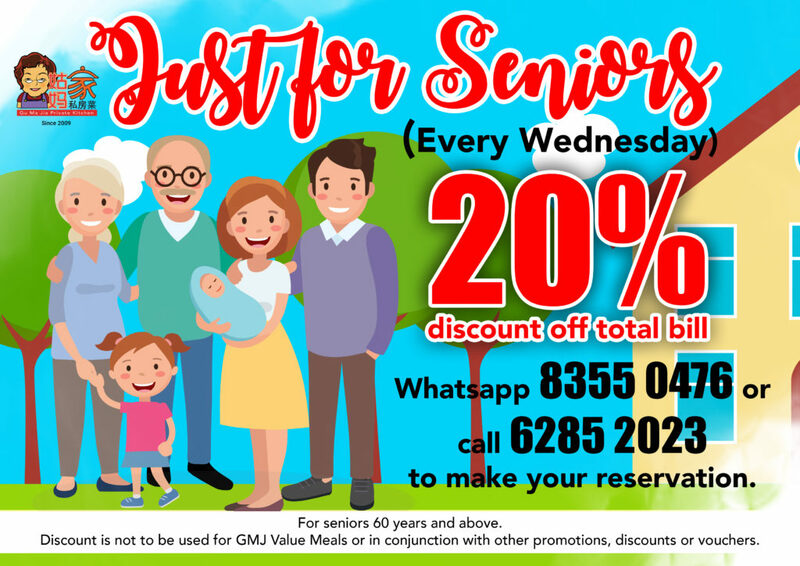 Encouraging all families to dine together with their seniors. Call us at 6285 2023 or Whatsapp us at https://wa.me/6583550476, now to reserve your seats!